Gorillas, one of the major tourist attraction in Uganda. Uganda has been listed among the four African destinations that have made it to National Geographic Traveler’s Cool List of 2019. The list has 19 places a tourist would not miss in 2019. The list, according to a US based magazine, places feature everything from futuristic cityscapes and modernist architecture to pristine rain-forest and rehabilitated wildlife. “We bring you the 19 destinations set to hit the headlines in 2019,” writes National Geographic Traveler magazine. The magazine indicates that Eritrea, Kwazulu-Natal, Uganda and Zimbabwe make up the list which also looks at the destinations around the globe that will drive tourist numbers in the coming year, 2019. Other Places include: Setouchi, Antarctica, Pittsburgh, Corsica, Cambodia, San Miguel de Allende, West Yorkshire, Hong Kong, Guyana, Oslo, Bhutan, Dundee, Matera, Indonesia, Sibiu. 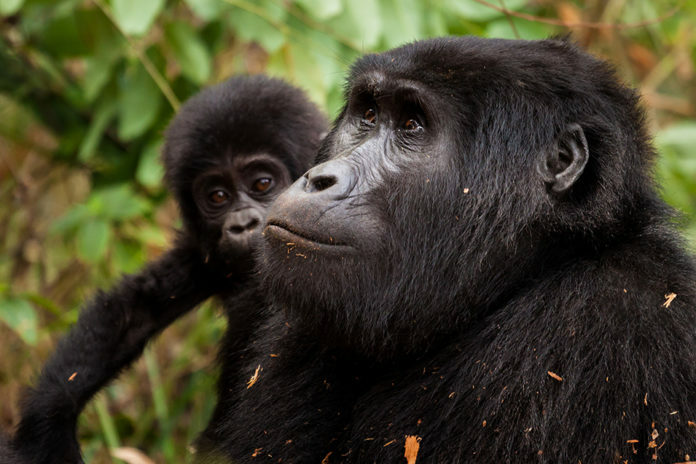 Consideration of Uganda based at mountain gorillas noting that When Rwanda doubled the price of its gorilla trek permits from $750 to $1,500 (£572 to £1,144) in 2017, neighboring Uganda responded by freezing its own rates at $600 (£458) until mid-2019. The magazine stressed that the steady growth of its gorilla population is one of Africa’s great conservation success stories, with tourists playing an important role. “Almost 20 families can now be visited by guided groups of up to eight. Trekking fees raise funds not only for gorillas and their habitat, but also for Uganda’s other national assets including Queen Elizabeth, Bwindi Impenetrable Forest and Murchison Falls National Parks, home to chimps, giraffes and hippos,” reads in part of the released statement.